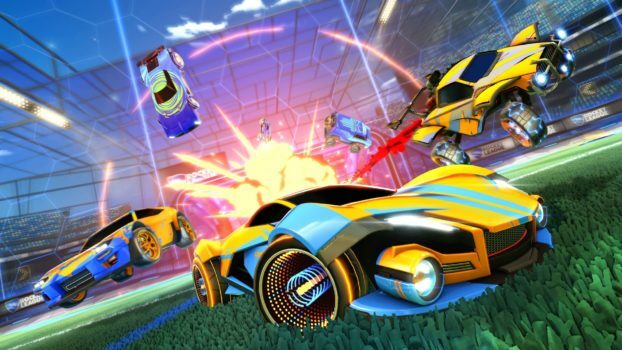 Score a goal by literally flying across the map as a car in Rocket League on the PS4! Soccer takes on a whole different form during these 3v3 fights, and you’ll be zooming around the field with your jet-fueled vehicle. Perform a wide array of crazy tricks to get that ball rolling to the enemy goal! Team up with a friend or face them head-on in the multiplayer mode. Play as one of seven unique classes and bash through undead creatures in Diablo 3 on the PS4. From looting crypts to tackling the main story, the game is chock full of activities that will keep you going for hours on end. If you’d like to share the adventure, you can bring a friend along with you. Enjoy bashing skulls and tackling different quests in the game! The latest installment in the Far Cry series, the fifth game has you taking on the role of a deputy whose job is to put an end to a fanatical cult in Montana’s Hope County. You’ll be facing megalomaniac Joseph Seed and the members of Eden’s Gate, so gear up and get those weapons loaded. The game supports local multiplayer, so you can actually complete the entire game with a partner in the 2 player co-op mode. Dive into the action with guns blazing and save your county! Manage mischief and mayhem with a friend in Overcooked for the PS4. As if managing dirty dishes and that ticking timer on your screen wasn’t bad enough, you’ll be forced to cook in some of the most absurd culinary settings ever possibly conceived. Battle against time and the elements as you find yourself struggling to cook on a kitchen inside a volcano because people just love to dine near molten lava. Join in on the battle royale craze and fight to survive in Fortnite on the PS4. You and 90-something other players will be deployed to an uninhabited island where you’ll be forced to kill each other off until one person is left standing. Aside from guns, you’ll also have the option to build and craft platforms and structures to your advantage. For its 2 player mode, you can pair up with a pal and eliminate the competition together. And, no, you won’t have to worry about killing your partner at the end of a match. It’s another fight to the death in Towerfall Ascension on the PS4! This combat platformer has you and up to three other players duking it out in a small stadium. Armed with nothing but a bow, you’ll have to time your shots right to dispatch your opponent. If you’re skilled enough, you can even catch the arrow in mid-air and send it flying right back! There’s nothing more satisfying than scoring that hard-earned kill in the game. One of the most popular 2 player games to date, you can’t go wrong with playing Minecraft on the PS4. From creating beautiful buildings in creative mode to fighting spiders in survival mode, there’s always something to do in the game. Whether it’s making that dream home or digging for gold, it’s always better to share the experience with a friend. A Way Out is a creative 2 player experience that has you and your friend playing the role of two prisoners. As the name implies, your main mission is to find a way out of jail. But who says you can’t do some crazy stunts on the side? While you’ll be working closely together with your friend, each of you will have your own “roles” during the escape. One person might need to distract a guard while the other player has to sneak into a room and steal a key or item. What makes A Way Out one of the best PS4 2 player games is that only one person needs a copy of the game – the partner plays for free! A direct sequel to the first game, Injustice 2 on the PS4 offers an updated story mode and a slew of new characters. Play as Superman, Harley Quinn, the Joker, Batman, and more as you dominate the battlefield with flashy combos. And, of course, you can also fight your friend in the game’s 2 player mode. Injustice 2 also offers a unique gear system that enhances your character’s traits depending on their costume, so you can focus on the way how you like to play. Tekken 7 returns to the PS4 with some new mechanics and characters in tow. Pull off an assortment of awe-inspiring combos, while new features, such as Power Crush and Rage Art, add a new twist to the game. 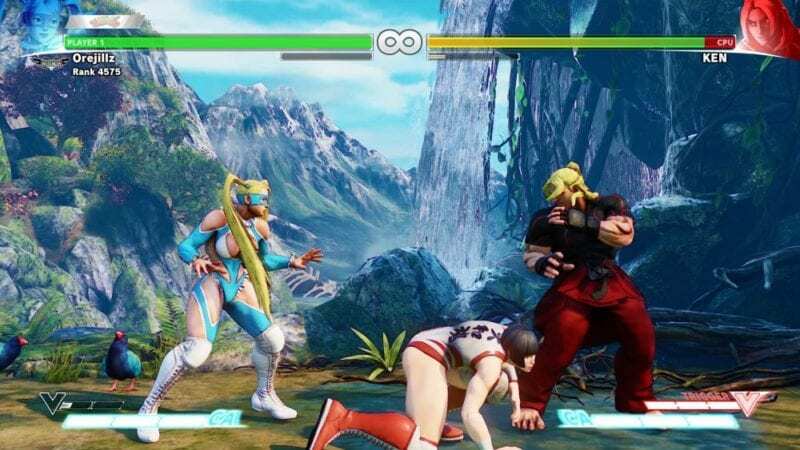 Take on your friend in the game’s 2 player mode and play as Claudio Serafino, Josie Rizal, Jin Kazama, Lucky Chloe, and more. WipEout Omega Collection on the PS4 is comprised of two: Wipeout HD with the Fury expansion and Wipeout 2048. Each title offers an intense racing experience, sending playing speeding through their anti-gravity ships. And don’t be afraid to play dirty – you can pick up various weapon and power-ups that’ll give you a big edge in the race. Each game supports local multiplayer, so you can race against a friend in the 2 player mode. Take the reins and fight as your favorite Star Wars character in Battlefront 2 on the PS4! If you’re planning to try the 2 player split-screen mode, you and another friend can take on different coop quests together. If you’re feeling a tad more competitive, on the other hand, you can take them on in a friendly skirmish instead. Play as iconic series heroes and villains, such as Yoda, Kylo Ren, Leia Organa, and Darth Vader, and show off your skills on the battlefield! FIFA is back on the PS4, chock full of all of that soccer goodness. Play in 52 licensed stadiums as some of your favorite athletes, like Cristiano Ronaldo. Of course, this wouldn’t be a proper Fifa game if you couldn’t play with a friend or two. You can pair up with a friend on player together on the same team in the 2 player mode. NBA 2K18 includes the ‘ol classic basketball experience topped off with some new content on the PS4. The Neighborhoods feature featured a new way to access the other modes, featuring an open world-esque design where players can interact with other players. If you plan on playing with a friend, the 2 player local co-op mode offers an intense shoulder-to-shoulder basketball experience. If you’re looking for a solid basketball simulator on the PS4, you can’t go wrong with NBA 2K18. Sonic Mania is a real blast from the past. Instead of using the 3D gimmicks, the game goes back to its 2D high-speed platforming roots. Play as Sonic, Knuckles, and Tails as you speed your way through classic courses in the game. If you’re looking to play with a friend, the 2 player mode lets you compete with another player on a single track. Gotta go fast with Sonic Mania! Claire and Barry make their long-awaited comeback in Resident Evil Revelations 2. This time, however, they’re not alone as they’re joined by Moira, Barry’s daughter, and Natalia, a mysterious child in Sushestvovanie Island. You can clear the main campaign with a friend, making for an enjoyable 2 player co-op experience on the PS4. One person generally handles all of the action while the other person focuses mainly on support. Unlike Revelations 2, Resident Evil 6 on the PS4 is much more fast-paced and action-packed. Play through the four campaigns, featuring series veterans Leon Kennedy, Chris Redfield, Ada Wong, and Sherry Birkin. You’ll have a wide range of weapons to choose from as you blast through different zombies and creatures, guns blazing. Each campaign comes with a pair of characters, so you can finish the game with another person in the 2 player co-op mode. Borderlands: The Handsome Collection is oozing with guns, action, and pure sass. Oh, and not to mention a killer coop mode. Whether you’re off trying to finish the main story or if you’re wrapped up in some kind of side quest, Borderlands never ceases to stop the action. You’ll be cruising on tanks with your friends or getting caught up in intense gunfights with enemies in the overworld. 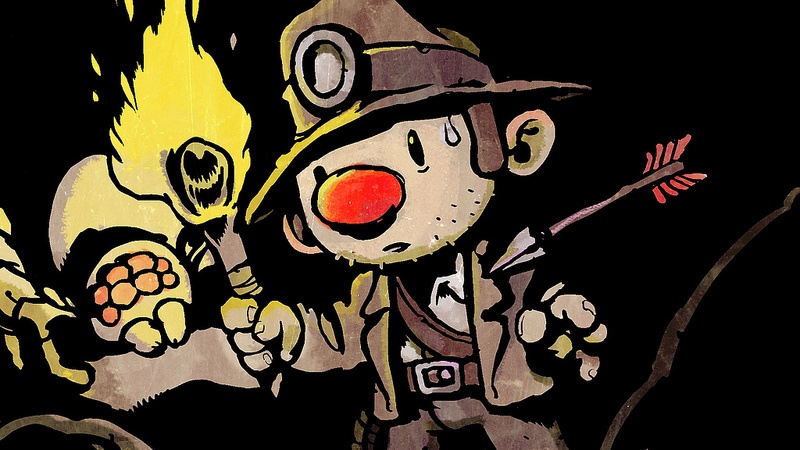 With Spelunky, now you can finally live out your life like Indiana Jones. Explore underground tunnels and gather as much treasure as you can, making sure to avoid any enemies and traps along the way. The fun thing here is that levels are randomly generated, so you never know just where you might end up. You can choose to explore these deathly caverns with a friend, or you can duel each other in the deathmatch mode. Roll your way through waves of bullets, pellets, and lasers in Enter the Gungeon on the PS4. Welcome to bullet hell, where you’ll be fighting against enemies who spew all sorts of shots at you. 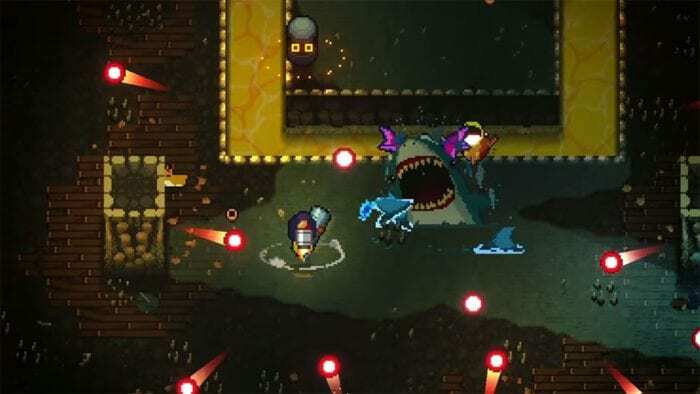 Armed with your own gun, you’ll be treading through various levels and collecting all sorts of treasure in the Gungeon. You won’t have to explore alone, however, since you can always bring a friend along with you. Rayman laps back into action on the PS4, this time with a few friends. This quirky platforming adventure has players swerving across platforms and freeing any Lums they come across. If your friend tags along on the adventure, they can play as Globox, the Teensies, and Barbara. Platforming aside, Rayman Legends also includes a multiplayer football minigame called Kung Foot where you’ll use attacks to knock the football to the enemy goal. As if surviving alone wasn’t hard enough, now you can play with a friend and try to stay alive together. 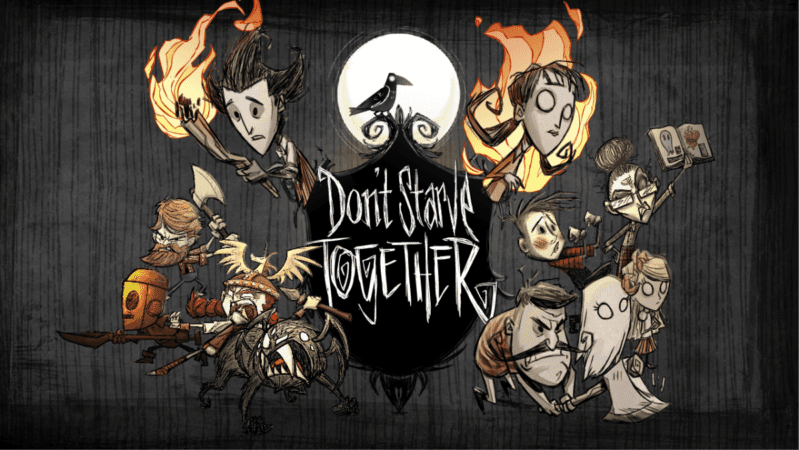 You and your partner will have to cooperate, looking for food and avoid any supernatural enemies hungry for Wilson and his pals. During the day, you’ll have to scavenge items scattered around the map and craft necessary items to stay alive. By night, players must stay by the light to avoid getting killed off by monsters. It can feel incredibly satisfying when you can your friend manage to get your base up and running, making for a great 2 player experience on the PS4. There’s no better way to clear the air with a friend than by duking it out in Gang Beasts. This physics-based fighting game has you fighting against other blob-like humanoids in your everyday locations, such as a hazardous factory, a moving Ferris wheel, on top of trucks, and even between moving elevators. And if you prefer to work together, you can fight waves of enemies instead. The latest entry in the hunting series, Monster Hunter World comes at players with breathtaking visuals and terrifying creatures on the PS4. As a hunter, you’ll be going around and accepting quests to slay these different monsters. The game offers a wide variety of weapons to choose from, and you can also craft armor from the loot you get from your hunts. Monster Hunter World is the kind of game that’s best enjoyed with others, so grab a friend and start hunting! Street Fighter 5 is the latest entry in the fighting game series, bringing along a handful of new features along with it. The Arcade Edition comes complete with the new features in the game along with the new characters, including Laura, Menat, and Necalli. Turn the tides of battle with the new F-Trigger system and pummel your foes with a string of extensive combos. Street Fighter 5 also offers a 2 player multiplayer mode where you can fight against your friends. Score a goal by literally flying across the map as a car in Rocket League on the PS4! Soccer takes on a whole different form during these 3v3 fights, and you’ll be zooming around the field with your jet-fueled vehicle. Perform a wide array of crazy tricks to get that ball rolling to the enemy goal, and team up with a friend or face them head-on in the multiplayer mode.